That means that I will not be monitoring admission based on male/female registration. This Intimate Puja Circle TM will acknowledge the non-binary expression of gender while maintaining the masculine/feminine energetic polarities that Tantra speaks of. The Puja Circles will not be set up with “men on the outside” and “women not the inside” as we typically do but will instead be more of a choice and a mix of experiences. The structure will be similar to all the Intimate Puja Circles TM I’ve led during the last 15 years. I look forward to a full room of beautiful people (as usual) ready to reconnect to themselves, explore intimacy, play and go deep. 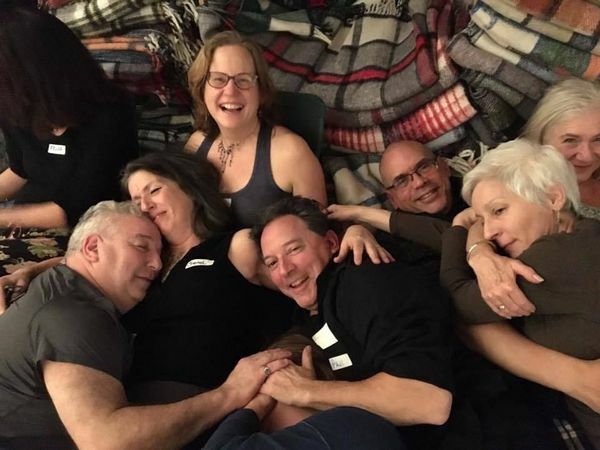 This Intimate Puja Circle™ is “gender free” – what does that mean? That means that I will not be monitoring admission based on male/female registration. This Intimate Puja Circle™ will acknowledge the non-binary expression of gender while maintaining the masculine/feminine energetic polarities that Tantra speaks of. The Puja Circles will not be set up with “men on the outside” and “women not the inside” as we typically do but will instead be more of a choice and a mix of experiences. The structure will be similar to all the Intimate Puja Circles™ I’ve led during the last 15 years. I look forward to a full room of beautiful people (as usual) ready to reconnect to themselves, explore intimacy, play and go deep. * Connect to a large community of amazing people with open hearts and minds…..
* Uncover whatever is in the mystery…..and so much more! The word ‘puja’ is a sanskrit word that means worship. 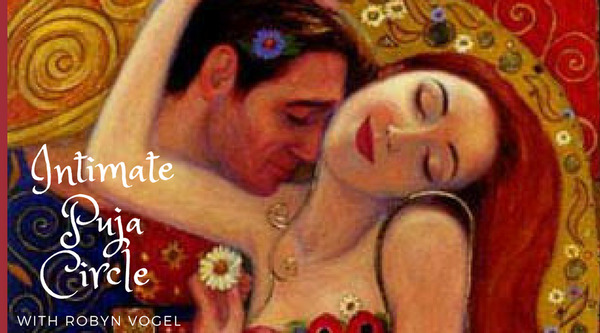 It’s used to describe a sacred ritual that honors the wisdom inside each of us and supports us in opening our hearts to love and deeper intimacy. Intimate Puja Circles™ created by Robyn Vogel, of Come Back to Love®, are a place to bring mindfulness to all connections, to move your body and release stress, to learn something about the ancient practice of Tantra from an embodied and spiritual perspective, to be playful and meet soulful, spiritual, loving folks​ part of a larger Puja Community. Yes, FRIENDS!! And your water bottle. You are also welcome to bring healthy snacks to share after the Puja. Organic fruit and chocolate are best. 4. What if I have questions, I’m feeling a bit nervous. Email us to talk: ourteam@comebacktolove.com.